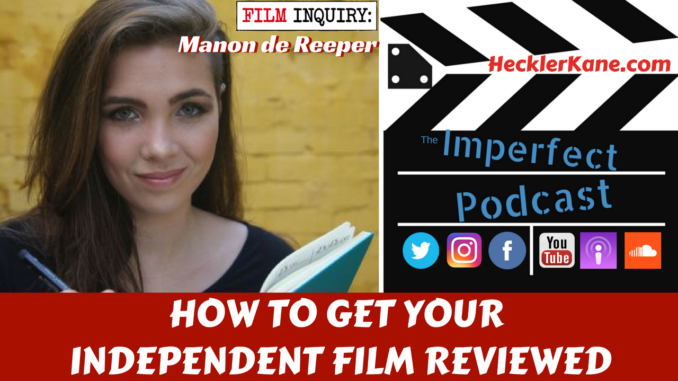 This week’s Imperfect Podcast guest is Manon de Reeper, who is the Editor in Chief and founder of independent film magazine Film Inquiry. Manon is also a screenwriter currently shopping her Screencraft Fellowship quarter finalist MORAL TREATMENT. She has two academic degrees and currently lives in beautiful Perth, Australia. Starting as her own personal blog, Film Inquiry has grown to having over 100 contributors. Film Inquiry is an independent, crowd-funded magazine with which purposefully steers away from the current online journalism trends of meaningless click bait. Instead you’ll find long-form reviews and articles, as well as in-depth resources that are interesting to cinephiles and filmmakers. Film Inquiry also supports women and minorities in film and behind the camera. Since December ’16, Film Inquiry is a Rotten Tomatoes approved publication and all of our reviews are counted towards their tomato-meter. To support Film Inquiry, you can join the Film Inquiry Society that will grant you complete access to all of their archives, as all posts older than 30 days (aside from a few freebies) are locked. Once a member, all the content is ads-free. Members also get a 10% discount to the Film Inquiry shop, and more. How did Film Inquiry get started? I founded Film Inquiry as my own personal film blog where I was doing my own amateurish film reviews. I had just graduated from university and was doing some research while studying criminology. It’s still the most geeky thing ever, where I studied how a science fiction film effected the future effects of real life policies. It was the best time of my life and I wanted to keep doing it because I always wanted to do film. Film was my biggest passion but friends and family recommended I not go to film school but I ended up making everything about film anyway. I moved to Australia with my partner and he got a job here and I was hoping that I’d be able to do something with my criminology degree and it didn’t turn out the way I wanted. I’m not one to sit still so it was my chance to jump into the whole film thing. 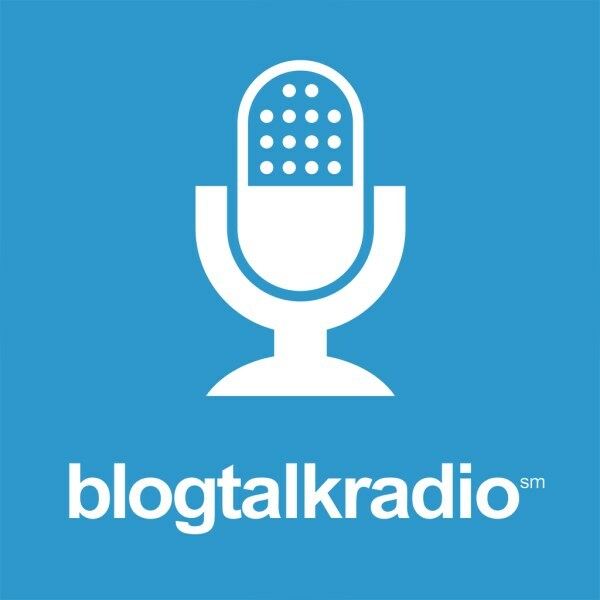 People liked the blog and I wanted to involved more people so we could do more. The ball started rolling in early 2014. Every since, we’ve been steadily publishing. I don’t want to publish too much because I get too overwhelmed with how some of these magazines push out content. 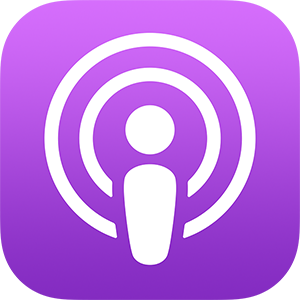 We want to keep the content schedule minimal but the actual articles bigger. It gives us the opportunity to go more in depth and explore one film more. More and more people are joining us to write. People have told me they are pretty disillusioned with the current online film journalism. We really want to be able to talk about film in a context more than Marvel’s easter eggs. It’s fun and more people are picking up on it. I’m stoked an excited that all the hard work is paying off. How do you decided which films you write about? Honestly, at this point I have the luxury of having a team of 100 people so I have a combined amount of a time. I personally don’t review many films anymore. I’m trying to get a YouTube series going for myself but even choosing the films I’m going to watch every day is becoming a challenge. It’s starting to get so busy but I feel like I have this responsibility to watch movies. What does a typical day as editor in chief at Film Inquiry look like? I have to say I set it up pretty smoothly. What I do is coordinate when film makers ask us to review films, then I make sure that my team knows this film is available for review. They let me know if they want to review it, I request the screener, send it to them, they write the review and it’s reviewed by a few editors. I’m always the final review before publishing. We have a pretty strict schedule we adhere to so I make sure all the time slots are filled in. For general feature articles, its mostly all the writers pitching their good ideas. It’s a lot of work but it’s also fun. Where does your love of films come from? My Dad was very much into films and my Mom too actually. They would always take me to the movies. For instance, on Christmas we wouldn’t go to church, we’d go to the movies. That was our thing and it just stuck with me throughout life. I started exploring film myself when I got a little older. What was the first article published on Film Inquiry? I think it was a review of the film Elysium, by the South African director Neil Blomkamp. Everyone was raging on how incredibly poor it was and I thought it was pretty good. I wrote a little essay on how the criminological aspects of it were interesting. How does your degree in criminology influence your writing? It definitely taught me to look further than just the actor’s performances or the visuals. I always want to explore the idea of the film more. What are the film makers trying to tell us. We learn so much from film. Most of the situations these characters find themselves in, we wouldn’t ever find ourselves in. Seeing those things it teaches us a lot about life. The way a camera is used and how a scene is framed adds to an idea. If you shoot someone from below, it elevates the person and adds meaning. What is your screenplay Moral Treatment about? I wrote a story influenced by academic background. It’s about a woman who is a British Royal set in the late 1800’s. It’s a Victorian era script. She has the privilege of receiving education in the UK and is married off to a rich guy in the US, an industrialists son. She starts to work at a local asylum because she’s a psychiatrist. It’s quite fascinating to me because there are so many terrible horror films set in these type of asylums. I wanted to do the opposite and give a very realistic portrayal of mental health and how these people were treated back then. How does it differ from One Flew Over the Cuckoo’s Nest? In a way, it was quite influenced by One Flew Over the Cuckoo’s Nest. I personally really love that one because it’s a realistic portrayal of mental illness and what a mental hospital was like back then. It does have a big twist in the end like Moral Treatment does. I say it’s a mix between One Flew Over the Cuckoo’s Nest and Shutter Island. Is Moral Treatment your first screenplay? No it wasn’t but it’s the first one I fully completed and edited. It was a challenge for me specifically how do you get into the mindset of writing. You need to put a lot of creative energy into writing which I did for 30 days. If you don’t keep at it every day, it’s easy to get out of that again. I adapted the National Writing Novel Month for my own needs. I was traveling and working during that time but because I had this goal of writing 3 pages a day, which is doable, I finished writing 90 pages in that month and had 30 pages before that. If you’re just focused on writing you don’t have the time to go back and edit it constantly. I had seen the deadline for the Screencraft contest and gave myself that concrete goal. It was my first complete script and I wasn’t thinking I would ever win. Considering there were over 2000 submissions I was completely stoked to have made it to the quarter finals. It doesn’t even matter how good your screenplay is at that point. It’s more like a game of luck because there are so many people that submit great work. I still think there may be an audience for my script and winning one contest isn’t going to win you the Hollywood game. What did you learn as Editor in Chief of Film Inquiry? I learned it’s more about the people you know. I feel for the people that believe they need to win a contest to make it because that’s not the way it works. I’m in Perth Australia and trying to get to know people in Hollywood. Film Inquiry has definitely helped with that in a very casual way. Knowing people is the most important thing. How can film makers get coverage at Film Inquiry? Everyone can send their request to info@filminquiry.com and I will always put their requests in front of the team. It’s up to the team whether they pick it or not. It happens sometimes that nobody is interested. We also cannot guarantee a positive review. I try to put everything out there. There is an audience for every film so I don’t filter it. I offer it up to my team for them to decide.